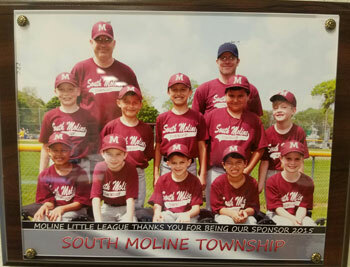 Moline Little League Team sponsored by South Moline Township. 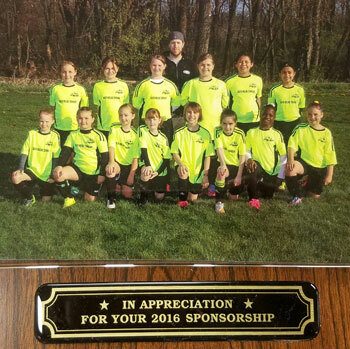 Soccer sponsored by South Moline Township. Contribution to YMCA Summer Enrichment Camp for Butterworth Kids and Swimming Program. Contribution to United Township High School Project Graduation. Sponsorship to Moline Little League Team. Contribution to United Township High School Tutoring ACT Test for low income students. Contribution to John Deere Middle School Music Department for performance at our Senior Center Christmas Program. Contribution to MHS Media Center for Adopt-A-Book Program. Contribution to Moline High School Share Joys Program. Contribution to Positive Behavior Interventions and Supports System at Glenview Middle School. Contribution Half –Fare Bus tickets to Moline High School low Income students. Contribution to Grade Class Novel Book Sets for Glenview Middle School. Contribution to Telecom Pioneers for shoes for the needy. Contribution for Scholastic books for Wilson Middle School Language Arts Department. Sponsorship of children to Youth Hope/Christian Camp. Contribution to United Township Choral Department for performance at Senior Center Christmas Party. Contribution to Moline High School Reading Club. Contribution to After School Y Winners Program at YMCA for low income students.